Sad scenes that will make to cry all lovers of the sea, sailing and unprecedented luxury arrived from the Greek island, Mykonos. 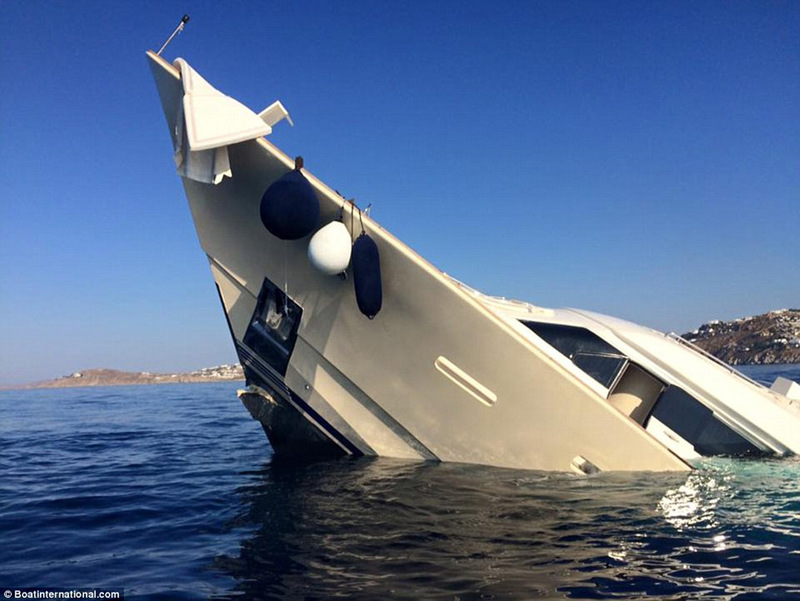 Nautical portal Superyachts News published photos of damaged 32 meters (106ft) long yacht “Aloha“, which was sailing under the American flag. So, at the bottom of the sea completed £4million ($6.2million), how is estimated this magnificent marine beauty. Four people who sailed on the boat were lucky because none of them were injured. However, although all were saved, they, of course, they haven’t been in mood to celebrate, according to the Daily Mail. 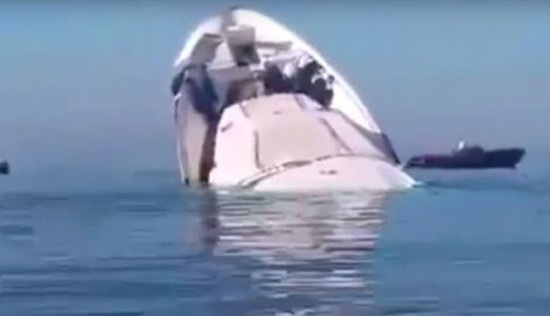 For no,w unnamed source told the media that the sinking was caused due to electrical failure. Harbour Master has taken all measures to prevent possible spillage of fuel and pollution of the surrounding sea. The superyacht is a 106ft Custom Line Navetta 33, a brand new model is currently on the market for £7.2million ($11.2million), and one that is approximately five years old (sank yaht) would have a market value of almost £4million ($6.2million).